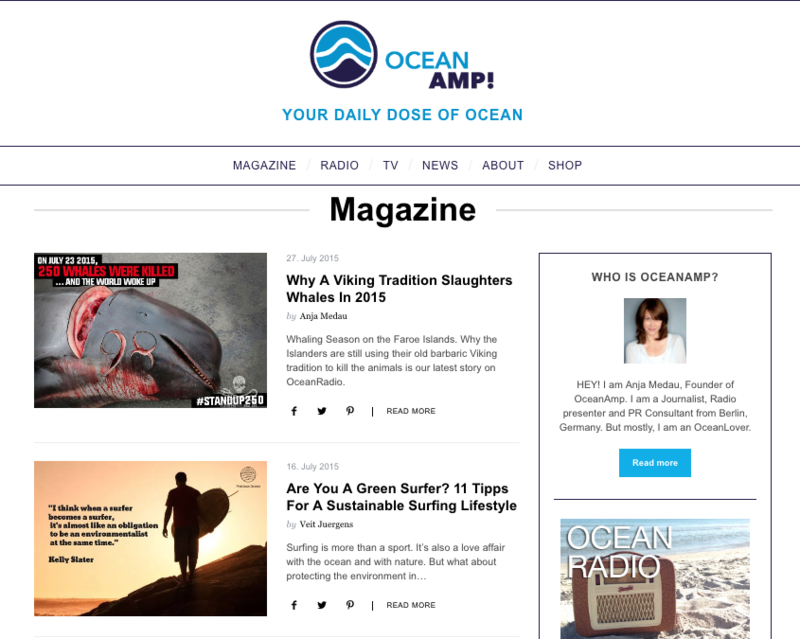 OceanAmp is my multimedia magazine for OCEANLOVERS: May it be swimmers, surfers, sailors, divers, kitesurfers, naturefreaks, beachlovers, dogwalkers, photographers or OceanFilmers. OceanAmp wants to INSPIRE you to learn more about our oceans, highlight the joy we all gain from them and tell solutions of how we all can personally help our oceans survive. We aim to create curious, future-oriented, socially and ecologically responsible thinking people. Please support us by spreading the word!